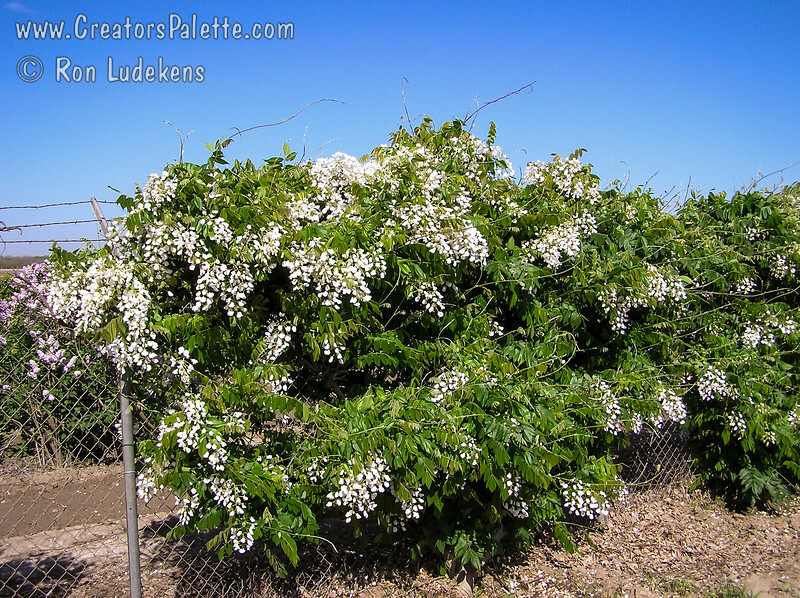 Flowers are white, very large, and grow in short heavy clusters that open all at once. Very profuse bloom when leaves begin to open in mid spring. Broad leaves and silky leaflets.